Thursday, October 24, 5:00 p.m. Calling all creatives to connect! 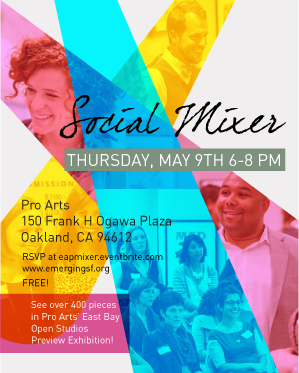 Here’s an opportunity to mix and mingle with colleagues in the Bay Area artist and arts nonprofit community. 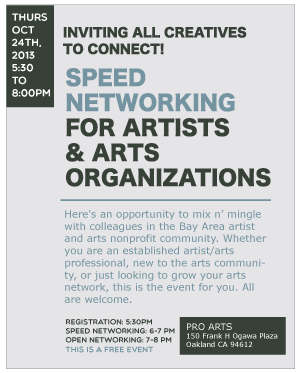 Whether you are an established artist/arts professional, new to the arts community, or just looking to grow your arts network, this is the event for you. All are welcome. Business cards are highly encouraged! Light refreshments will be served. Want to let your co-workers know about it? Download the announcement and post it! For updates or to reach out to the event staff pleas follow the event’s Facebook Page. After a rousing and candid keynote panel on defining open systems, participants in the Emergence 2013 Networked Approaches track moved downstairs at SPUR for our first breakout session. Moderated by Maura Lafferty, independent PR consultant, this session’s topics focused on practical suggestions to improve collaboration between the arts and technology sectors. Maura gathered a balanced panel featuring Brianna Haag, marketing manager at Eventbrite; Emma Leggat, head of corporate social responsibility at StubHub; and Allison Murdock, organizer of Silicon Valley Rocks and VP of Marketing at GigaOM. Maura began the conversation by asking the panelists to share how their organizations are currently involved in the arts, and it was both heartening and revealing to see how each company used the passions and interests of their employees to direct their efforts in the arts. Emma shared how StubHub began their Rising Stars philanthropic program by identifying ways their employees and company assets were particularly well-suited to make a difference. Because StubHub is an event ticket resale platform, they discovered that music, youth development, and local organizations resonated particularly well with their employees. As Emma put it, “Our employees are fans themselves!”Roots of Music, a New Orleans teen music program, was the perfect match to align with these interests, and received one of the initial Rising Stars grants in addition to leveraging the StubHub platform for their event ticketing. The theme of shared values emerged as a key point of discussion as the conversation continued. 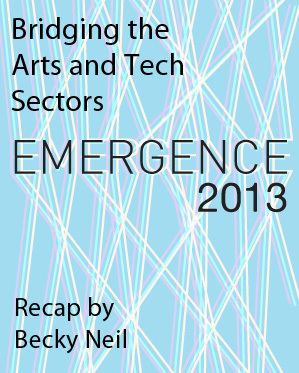 What values are shared between technology organizations and arts organizations? How can these shared values be leveraged to the mutual benefit of partner organizations? Brianna urged arts administrators to think beyond funding when approaching a technology company, and consider the full spectrum of ways to partner and support mutual goals. She suggested in-kind sponsorship — such as free use of the company’s software — volunteer days, and workshops. So put your brainstorm caps on, fellow arts managers, because these tech companies really want to hear innovative ways that they can build a lasting partnership with you! Business strategy, marketing, and other expertise: Do you have an organizational challenge that the technology company’s employees may have the expertise to help with? Allison recommended that you think about ways they can advise you on improving processes, strategies, and plans. Software, real estate, and other physical or digital assets: Does the technology company have a great location? Maybe you can use their grounds or conference room for a donor event. Do they have access to a wide channel of advertising? Maybe they can donate space for a week to your cause, like Emma did at StubHub for Roots of Music. Opportunities to teach and learn: This goes both ways! In addition to sharing knowledge on specific computer tools, technology employees might want to learn to paint, dance, sing, or whatever skills and talents your organization offers. Brianna shared how excited her employees got when they were able to interact during a workshop with artists: they talked about it for months afterwards! Of course, these relationships need to start somewhere. Maura asked panelists, “What suggestions do you have for starting the conversation and initial outreach?” Here, it became clear through their anecdotes that startups look their employees for leadership. To get past the email filter and initial blockade, “do your homework!” Allison urges. “You really have to research. Find those people and reach out to them directly.” Once you have an advocate on the inside, the word will get back around to the decision makers that this cause is important to their employees. 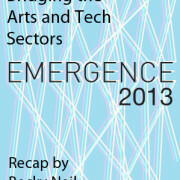 In all there is tremendous potential for cross-industry collaboration between technology and the arts. With this insider’s scoop in mind, arts professionals should be able to identify natural ways to align both organization’s missions and approach the right people to make those programs happen. I, for one, was pondering for days after of ways that I can get a tech expert to help me with my art project! Becky Neil is a project lead at Bottlecap Gazebo, where she builds community through big art. At Emergence, Emerging Arts Professional’s annual daylong convening on June 3, 2013, a daring and complicated group discussion facilitated by Arielle Julia Brown and Ernesto Sopprani centered on the participants’ viewpoints regarding failures and successes in community engagement. Brown, teaching theater artist at Destiny Arts Center and artistic director of The Love Balm Project, hailed the community engagement “shero” of our time, Kemba Shakur. City greening activist Shakur founded and directs the Oakland tree-planting project Urban Releaf. In late 2011, the Oakland Museum of California (OMCA) took a stance by spotlighting Shakur, along with five others, as a Modern Day Muir. This served Brown’s point that more arts organizations ought to reach out across the community to honor women, especially those that have started community organizations. I found myself brainstorming with a striking group of individuals: Quinn Associates’s Jessica Johnson, recent John Hopkins graduate Glennis Markinson, OMCA’s Lisa Silberstein, and EAP’s Ernesto Sopprani. Peers were eager to sound off successes: ProArts and Youth Speaks, organizer of the National Youth Poetry Slam, as well as SOMArts, which got an instant in to a community. The following gave me pause, “Before we used to just have our communities, but now we have all the others.” Indeed, the law of attraction is still at work. The ever-pertinent question of funding resurfaced when the quandary came up about having numbers over meaningful experiences in reporting back to granters. Through a topical example Silberstein incorporated “network” to discuss the difficulty of community engagement within a framework when a major funding partner restricts the use of a formerly flexible account. How does one balance the desire for meaningful interactions while reaching a large numbers of people? “A very minor qualitative questionnaire,” suggested another participant, who thought that having a high response rate to a yes/no and one open-ended question would do the trick. Qualifying and quantifying audience participation really does become an opportunity to educate the funders. Facing the truth is not for everyone, but knowing what works, rather than what should, will get arts professionals out of dated reporting processes. The energy in the room reflected a consensus that the following rhetorical questions could serve as a fertile ground for not only opening up discussion but also catalyzing future considerations. In essence, the speaker exhorted the room think about what tactics one would be willing to use to get in. A well-heard qualifying response was: “You need to show that you are passionate about being involved in our communities. 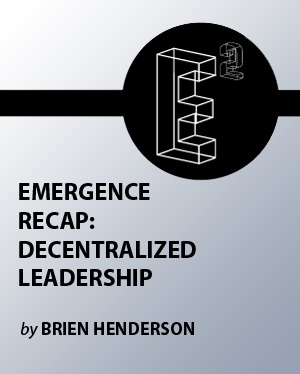 Do not lose focus about why you started in the beginning.” Be mindful of institutional power around the community you live in or the one you are going into. A board member of the Zaccho Dance Theater sketched out some interesting subtleties: what are the peculiarities regarding getting “into” East Los Angeles versus San Francisco’s Mission District, or an African-American entering Detroit, while never herself having been there prior. Sopprani made an example of a community’s engagement around queer performance, which he says involves curating work in their spaces, activating them. Make a community around whatever the problem may be and finding a solution. Emphatically, regret was voiced and seconded about a kind of involvement that is here and gone, leaving the place at the heart of the project without lasting transformation. For instance, everyone wants to fund a project in the Bayview, which while “local,” deserves the same weight as international or global endeavors. Questions of sustainability and establishing expectations ought to be front and center. Our third point, regarding hands-on networking, was divulged by the Zaccho board member. 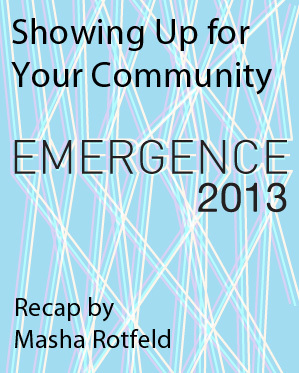 Calling it the “elephant in the room,” she was speaking directly to the individuals gathered, prompting them to really connect to others at the Emergence 2013 event. “The people in attendance, are they going to show up? If we don’t take advantage of our new acquaintances, we will move further and further away from each other,” she urged. Sopprani echoed that to maintain such ecosystems, arts professionals must have one-on-one conversations. It is really about the personal relationships. We care what we do to each other, but we must make an effort to stay in touch and connected. He reminded the group to document knowledge on EAP’s Hackpad, a source of resources and grants that has just opened to the network. 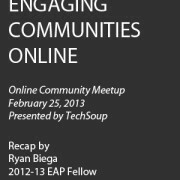 Via Hackpad, EAPers can share contact info and what they do. To quote Gore Vidal, “We are permanently the United States of Amnesia. We learn nothing because we remember nothing.” We are in an era of perpetual forgetfulness, whether about new acquaintances or social and cultural phenomena at large. An art historical “moment” — a tremendous story — will pop into public consciousness and disappear immediately. It is difficult to hold onto any one string, but we must find different strategies for paying attention and approaching situations with a desire for continuity. Such strategies include: getting permission for fair use of artwork or use of space, asking (theater) participants to bring their friends, and having daily conversation with people who share our interests. 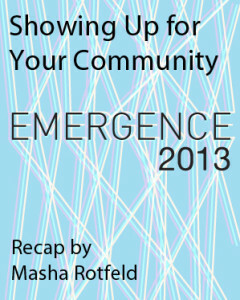 Sustaining community engagement comes in after initiating contact in events such as Emergence 2013 by continuing to build those relationships intentionally. Such success can be attributed to the network of European Burning Man followers, who find ways to communicate year-round, such as with mixers in a “burning pub” in London. People have branched off into new communities to pursue emerging international projects, while opportunities to get to know each other tangibly increase interpersonal and inter-organizational support. And, keep experimenting! You are more likely to bring successes to mutually beneficial processes if you are. Arts community members ought to try new things, for they are already doing something they are good at. The question is now, how does one push at that. A failure could be skewed into a success, but not before action is taken. “Seeing how things are interconnected as well as what else is going up around makes you run better,” observed Sopprani. Masha Rotfeld is a personal fitness trainer and holds a master’s degree in art history from the University of California, Riverside. 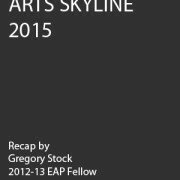 What will the Bay Area arts skyline look like in 2015? 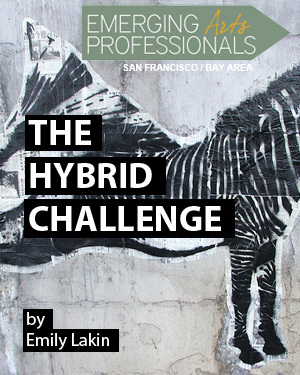 The cultural landscape is constantly evolving in the Bay Area. New openings, closings, and innovations are inevitable in a metropolitan area. On March 27, EAP hosted a panel of leaders in the arts fields at the Center for New Music to discuss the challenges facing local arts institutions, small and large. The panel featured Barrett Shaver, director of development, SF JAZZ; Christopher Borg, executive director, Community Music Center; Gina Basso, public programs, San Francisco Museum of Modern Art; and Jack Carpenter, production director, SF Ethnic Dance Festival. Though looking towards the future was ultimately on everyone’s minds, the conversation stayed within the current context. Themes of the conversation revolved around staffing, capital campaigns, space, and project-based venues versus an actual building. We wanted to share some kernels of the experience with our larger network. Also, we love to continue the conversation beyond the brick and mortar, so feel free to add your comments. Adam Fong, executive director of both Emerging Arts Professionals / SFBA and the Center for New Music, took the brave task of navigating the arts skyline with consistency and curiosity. The Exploratorium closed in Fall 2012 at the Palace of Fine Arts and will re-open on April 17 at Pier 15 with a new building. The SFMOMA will be closing its doors for three years on June 2 to make way for construction of a 235,000 square foot addition. Until early 2016, the SFMOMA will present new art experiences around the Bay Area as the building is transformed. SF JAZZ recently opened a brand new facility on the corner of Franklin and Fell streets to wide acclaim, moving from project-based to a cultural institution. The Community Music Center will be expanding with the purchase of a neighboring house. Christopher Borg says it will make CMC more of a “campus.” CMC has been in the same building in the Mission district since 1921. World Arts West, the organization hosting the San Francisco Ethnic Dance Festival, continues to have the conversation about finding a permanent home, believing they need to make the move to a more established organization within the city. Overall, the tone is continuing to strive to be experimental with space, programming, and money. As we continue to move through the economic recession towards recovery, new spaces can mean new opportunity and hopefully engaging new audiences with a stronger brand than project-based models. Though institutions grow and consolidate, seeking new ways to engage audiences is at the heart of the conversation. And as Ms. Basso said, the SFMOMA is screwing little light bulbs across the city throughout 2016. But, don’t worry the lights won’t go out! Gregory coordinates public programs at the Fine Arts Museums of San Francisco along with a team of four under the direction of Renee Baldocchi. At the de Young, he provides support and logistics of Friday Nights at the de Young, a weekly “art happening” public and free event for all ages themed to the permanent collection and special exhibitions. At the Legion of Honor, he coordinates the Chamber Music Series and special exhibition programming. Other programs include special lectures and academic symposiums for special exhibitions. Interests cross between public art, digital tools, collaboration and social enterprise. He has been in the Bay Area for four years and graduated from Saint Louis University with a BA in American studies and history. Thursday, May 9, 6:00 – 8:00 p.m.
You asked and we answered! We know you love our heady panel discussions and all but, perhaps even more, you love to let your hair down with us. 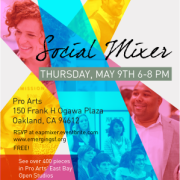 Come network, mingle, and explore one of Oakland’s leading galleries! 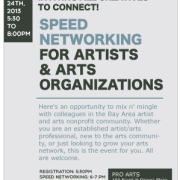 Meet fellow Bay Area artists and arts sector workers over drinks and snacks at Pro Arts, and learn more about Emerging Arts Professionals (EAP). 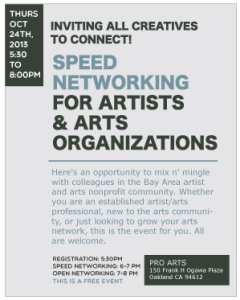 See over 400 pieces in Pro Arts’ East Bay Open Studios Preview Exhibition and enter our business card raffle for some special art prizes. Bring your cards and a desire to meet like-minded folks! Thanks to Pro Arts for hosting! In the San Francisco Online Community Meetup panel hosted by TechSoup, representatives from four arts organizations discussed how they are using social media in new and innovative ways to market the arts. • Danielle Siembieda, former community engagement and special projects manager for ZERO1: The Art & Technology Network in San Jose, CA. • Maura Lafferty, an independent communications consultant working with classical musicians and performing arts organizations in San Francisco, CA. • Dan Meager, director of marketing at Diablo Ballet in Walnut Creek, CA. • Carly Severn, digital engagement associate at San Francisco Ballet in San Francisco, CA. Danielle Siembieda (@art_inspector) created a project called Art Ambassadors. She started this project as a response to the commonly heard statement, “I just don’t get art”. Its purpose was to train students to experiment with, understand, and share art using social media and face-to-face interaction. 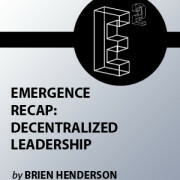 As part of the marketing campaign for the 2012 ZERO1 Biennial, it also functioned as a professional development program in arts administration. An interactive map app was also collaboratively created by the community as a social experiment to facilitate user experience. Through this project, she bridged the gap between curator and audience using the essential component of social media: technology. Dan Meager (@DiabloBallet) used Twitter to crowdsource the first ballet work created from the Internet with the goal of making classical art forms more relevant. Highlighted on the Huffington Post, this social media project invited the Twitterverse to submit ideas for everything related to the performance: concept, mood, even the moves of the dancers. Meager also used YouTube to crowdsource the score of the dance. The Diablo Ballet used social media and received media attention on The San Francisco Chronicle and the Huffington Post without a $5 million budget. As Meager mentioned, while the ROI of social media is hard to define – the broad exposure social media brings to the arts is well worth the work. Maura Lafferty (@mlaffs) introduced a new digital asset community managers could use to measure ROI. The new app, Awe.sm, correlates social media data with revenue at a low monthly cost. As a “Chief Happiness Officer” because she sees community managers as the liaison between the audience and the strategic goals of the client or organization–ensuring everyone is happy. This can be difficult in the arts, where audiences’ values can differ greatly. Take her specific case: marketing classical music to a generally younger audience on social media channels. Lafferty communicates strategically by finding out how values from different audiences relate. This involves constant monitoring to gain a fluency in the dynamic trends of social media. Carli Severn (@teacupinthebay) hit the nail on the head. In the performing arts, the audience is your lifeblood. When arts organizations are creating strategies around audience development, they must first know who their audience is. Severn spearheaded a new marketing initiative for the San Francisco Ballet that used social media to grow audiences through a series of contests. Using Twitter, Instagram, Tumblr, Instagram, Pinterest, Twitter , Facebook, and WordPress, she cross-promoted The Nutcracker by offering special seats to contest winners. Knowing the audience was for each platform proved to be effective. Because of this social media campaign, the Nutcracker is seen as a local tradition. As arts organizations across the globe begin to recognize the the value of social media as an integrated marketing and communications tool, the role of community manager will inevitably grow. These panelists have demonstrated innovative strategies for using social media to interact with and grow audiences in the arts. click attending at this events’ Facebook page. This workshop is provided in two parts. 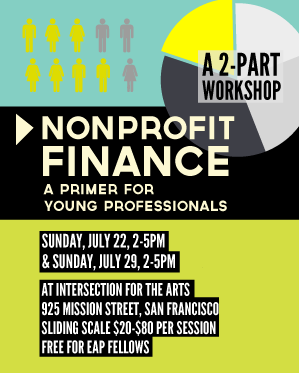 In our first session on July 22, we will review the differences between cash and accrual accounting and financial statements: Balance Sheets, Income Statements, and Statements of Cash Flows. In the second part we will learn how to analyze these statements so you can determine the viability of an organization and its projects, and make projections for future years. The discussions in the second session on July 29 are extremely important in creating a long-term plan. Too often, nonprofits make the mistake of creating budgets on the fly: organizations create balanced budgets one or two months prior to the new fiscal year. Such a document becomes useless in the case of economic booms and busts. 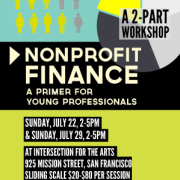 Solid financial planning gives a nonprofit the tools to make decisions. You will gain the most from the second session if you are able to bring 5 years of financial data from your organization. This can come in the form of Cultural Data Project, Annual Reports, or IRS 990s. All nonprofit 990s are available through guidestar.org (registration is free). Please remember that analysis and forecasting requires 5 years of data. Participants without access to historical data will use a sample set. You are welcome to participate in only one of the two sessions, but encouraged to do both! THERESE F. MARTIN is a management consultant and professor of management and finance. She has worked, consulted, and lectured in the fine arts sector and has overseen multi-sector projects and served on numerous boards of directors and on panels for the City of San Francisco and San Francisco Unified School District’s Visual and Performing Arts Office. She was the executive director | chief executive officer of ArtSpan, a San Francisco visual arts nonprofit, where she executed turnaround and re-organization. She was the development director of Young Audiences of Northern California. She will serve as a faculty senator at Golden Gate University in 2012-2014 and has served as the treasurer | board member of the Association of Fundraising Professionals; as secretary | board member of Oasis for Girls, a young women’s resource organization; and as the treasurer | executive committee member of the Arts Providers Alliance of San Francisco, a consortium of arts education providers. Prior to nonprofit work she was a project manager in the publishing industry and art consultant. Ms. Martin is a doctoral candidate at Golden Gate University and was a 2010-11 Fellow with the Emerging Arts Professionals of San Francisco. She holds an MBA in Executive Business Administration from Golden Gate University, a Certificate in Fund Raising Management from the Center on Philanthropy at Indiana University, and a BFA in Art History from the University of Kansas. Nonprofit arts organization Zero1 needed a way to help people make sense of its biennial, Seeking Silicon Valley, scheduled for September 2012. Spread over three months and more than twice as many cities, the festival presents a big challenge with respect to keeping visitors engaged and informed. 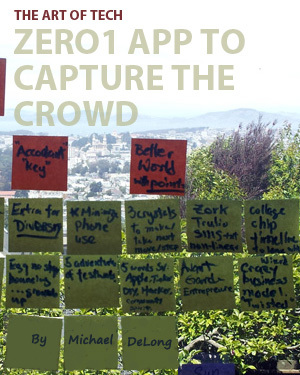 To tackle the challenge, Zero1 decided to create an app. As recently noted by Frank Barry of Blackbaud, technology plays a key role in audience engagement for the arts and culture sector. For Zero1, an organization whose mission is at the intersection of art and technology, a tech-based approach to this problem makes perfect sense. Flexing her background in community organizing — Siembieda-Gribben spent years working for ACORN — she structured the hackathon to maximize learning and shared knowledge. 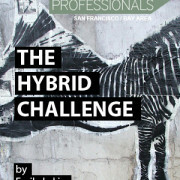 A Tech Advisory Committee of nine Bay Area technologists such as Kollective Mobile CEO Sian Morson mentored the teams. A core group of interns assembled by Siembieda-Gribben will go on to develop the winning team’s idea, using an API designed by Lift Projects for Zero1. The participants gathered at TheGlint, a live-work community aimed at accelerating the creation of value through design, philosophy, the arts, technology, and entrepreneurship — all set atop Twin Peaks backed by a stunning view of the Bay. 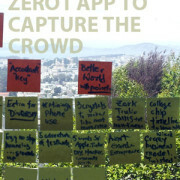 Additionally, each team needed to provide a clear plan for the execution of the app by the end of summer. The four teams brought excellent ideas to the table, impressing both the crowd and the jury. Proposals included fun geocaching activities to draw attendees into deeper engagement with the biennial; informative, interactive maps; and a personalized, art-enhanced experience to alleviate the stress of festival parking. A remarkable part of the judging portion of the event – and of the hackathon overall – was the collaborative energy sparked among the teams. As one team presented, others offered on-the-spot suggestions. The feeling was one of cooperation rather than competition. In the end, one team’s idea did stand out to the jury. Team Reactor, composed of Kelsey Innis, Anna Billstrom, and Helen Mair, proposed an app to crowdsource reactions to the festival artwork in the form of voice, text, and drawings. Called The Reaction Trader, the app will allow festival-goers to trade anonymous reactions to nearby art (the response mechanism remains locked until the viewer is within range). It will also allow attendees to vote up specific reactions, creating a leaderboard of top responses. There was some debate around the wisdom of allowing for anonymous comments — the fine line between candor and a race to the bottom — but the winners have the rest of the summer to work it out with the core team. Don’t miss Zero1’s biennial this September to December and let us know in the comments how your organization has used technology to engage its audiences. Interested in putting together your own hackathon? 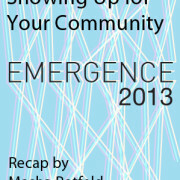 Check out NetSquared’s tips for creating a successful app-for-good event by Vanessa Rhinesmith. 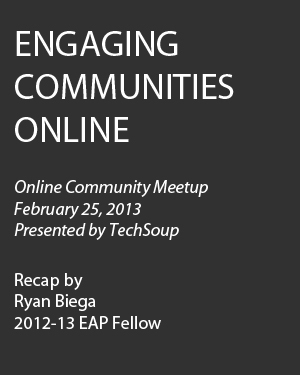 A version of this post appeared on the TechSoup blog.